It has all started again in Rijeka. The runners-up of last season's Champions League gathered at the Kantrida swimming complex to start a training regime for the forthcoming season. It will not be easy to retain the Treble they won last year neither qualifying for the Champions League group stage. Although they lost the competition's gold medal game last season, this will be the third year in a row in which Primorje must play thequalification phase of the elite European club competition. Since waiting for their second phase opponents, Primorje reached an agreement to do some practice sessions with AN Brescia on the 10th of September. Head coach Ivan Asić started the first pre-season tests without five players who are still resting after an exhausting summer with the national selections. Damir Buric, Petar Muslim and Anđelo Setka will start their club season next week, much like Ivan Krapic and Nikola Dedovic, who just returned from playing in the summer league in Malta. Speaking of new additions in this silverware-packed squad, Primorje acquired the forces of newly-based Pro Recco player Gonzalo Echenique. The native Argentinian first signed for the European champions after playing with CN Atletic Barceloneta and them came to Rijeka on a one-year loan term. Except Echenique, there is another ex-European club champion that made an agreement with the club. Miho Boskovic switched sides from Jug with Xavi Garcia as Spainard moves to Dubrovnik after Primorje declined to give him a lucrative contract offer. 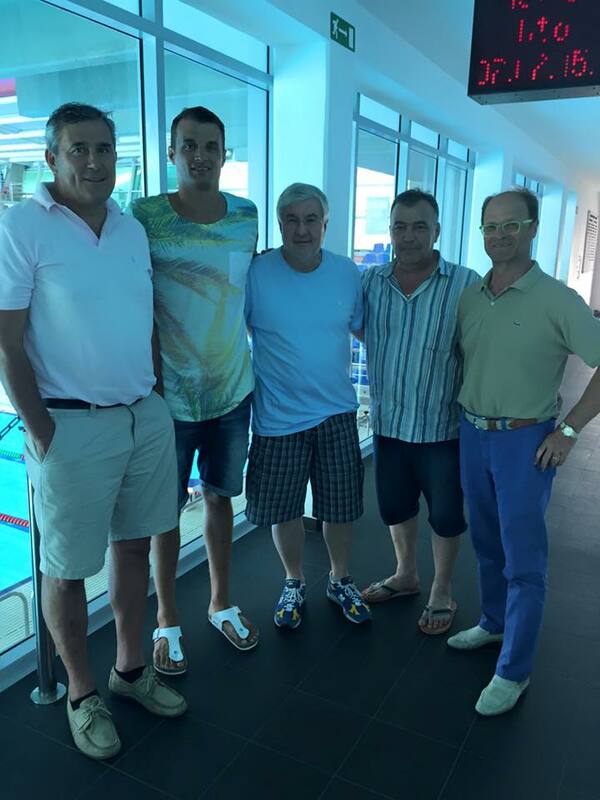 Miho Boskovic (second from the left) posing with the Primorje staff following his contract signing. Anther new player is Ante Vukicevic from Mladost, but Primorje lost a lot with the departure of Sandro Sukno. One of worlds best players decided to return to Pro Recco after the three years he spent on Kantrida. Sukno and Garcia will be missed a lot, as well as Marko Elez who returned to Italy's new top division side - Pallanuoto Trieste. Not less important however, Split-born goaltender Duje Jelovina returned from POŠK, and will be at the standby-mode to replace veteran Frano Vican between the posts.